CA Judge Carol Najera, Army JAG Officer Thomas Harper, and Joshua Gilliland discuss the interrogation issues in Star Wars. Could Darth Vader use truth serum on Princess Leia to find the location of the Rebel Base? 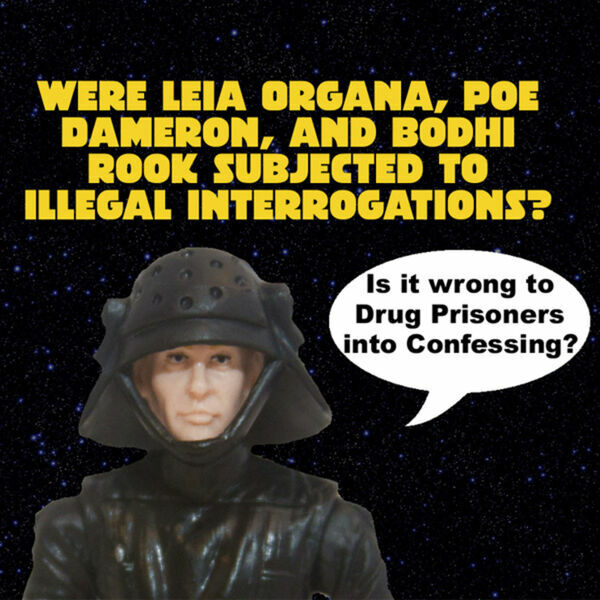 What were the civil rights issues of Kylo Ren reading Poe Dameron’s mind? Tune in to find out these issues and more. Please note that the opinions expressed on the use of the Force do not constitute the views of the United States Army or the State of California.